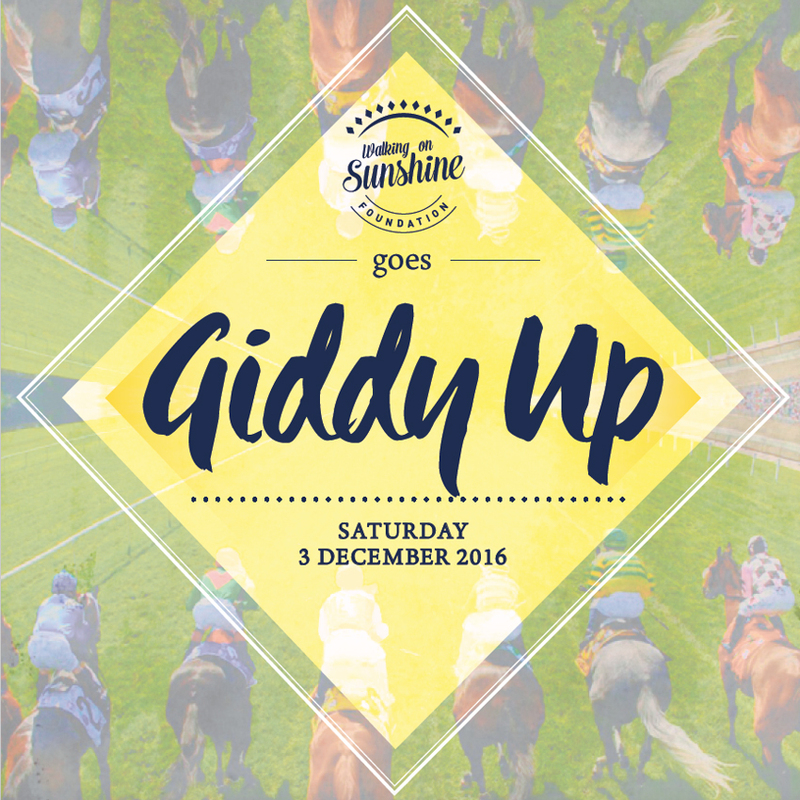 The Walking on Sunshine Foundation is going Giddy Up! Includes Racecourse admission, cocktail menu, beer, wine and champagne. Full views of racecourse, private bar & tote facility, Fashions on the Field, air conditioning and live music. To secure your tickets to the Birdcage function contact Annie (0417648489 or email annie@walkingonsunshinefoundation.com) or Jo (0412515876 or email jo@walkingonsunshinefoundation.com). Download the 2016 Race Day Flyer. Download the 2016 Race Day Sponsorship Prospectus.